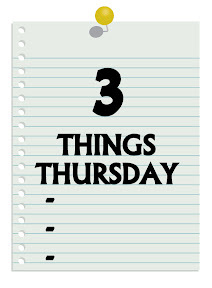 People of the Book [Three Things Thursday] – my books. my life. 1. Brooks takes the tale of the Sarajevo Haggadah and creates stories surrounding it and its journey from 14th century Spain to the present day. As our main character discovers clues in the present, we are swept back in the past to see how this book and its beautiful pages affected the people around it and how it survived so many wars and purges. 2. I really liked the idea of taking something real and fictionalizing its history. Even though I knew the stories weren’t what really happened, some things certainly happened to this book for it to survive this long and it was a nice way to celebrate that fact. 3. Brooks is a fantastic writer (if you haven’t read March yet, stop reading this and go pick it up now). People of the Book is no exception. It’s amazing!! There is actually a book out there that we both liked. It was bound to happen one day. I keep trying to get my book club to read this book, and they keep turning their nose up at it. I have heard it’s really amazing, and want to share that experience with them, but they are having none of it! I listened to Year of Wonders on audio, and it was really good. Even the back story was amazing, how she actually found a town in England that quarantined themselves when they started to get the plague. These are the things that set my brain on fire.